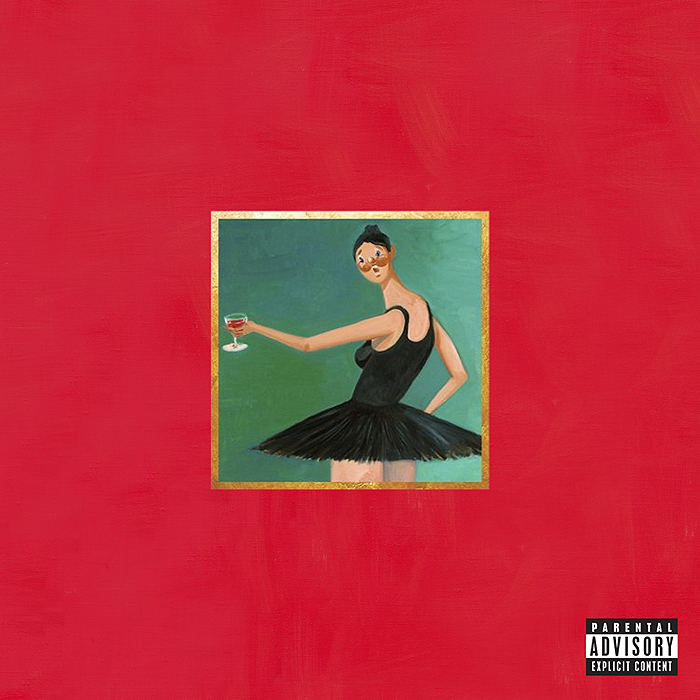 Kanye West’s album My Beautiful Dark Twisted Fantasy was released last week to rave reviews. Rolling Stone gave the album 5 stars — no other album has received a 5-star rating in the last two years. When I signed onto I-tunes the day before Thanksgiving to buy the album, the first six reviews that were listed were entitled: “AMAZING, Spectacular, The finest Hip-Hop album since Illmatic, Don’t think buy, Amazing, The greatest rap album of all time!” Phewwwww…….the CD couldn’t possibly live up to the hype. I purchased the CD, which is available with two different album covers, and spent some lonely hours driving to see my family for Thanksgiving. I was able to listen to the CD five or six times through, and here’s the scoop….. This is a very, very good CD. Kanye throws Jay-Z, Beyoncé, John Legend, Kid Cudi, Rick Ross, and many others into the mix. The album has distinctly Kanye beats all the way through, they are varied, and they are interesting. Lyrically there are a few gems (something about God not being a racist and having Kanye on his Ipod playlist) but there’s a lot of nonsense as well “…put your hands to the constellations….I’m your sensation.” Is the album political? Yes. Controversial? Yes. But you’ve got to expect that from Kanye. There are some clubby aspects to the it, some soul aspects to it. I would have liked a little more “hood” feel to it — you’re not going to pump this driving down the block in Compton (on hydraulics, obviously). Overall, My Beautiful Dark Twisted Fantasy is not the epic achievement it’s being made out to be. This is not The Chronic, this is not Illmatic, it’s not even on the same block. Yes, it does sound particularly good when you listen to the whole thing in order, that part is true. In howiGit’s rankings, I gave 10 songs the “G” (Good) and 4 song “NG” (not good). That’s a lot of good songs for a single album, but the truth is this CD lacks hits — there aren’t really any home runs, just lots of base hits. I think that the best song is “So Appalled,” despite the ridiculous (pun intended, listen to it) chorus. Jay-Z delivers the best verse. The other songs you will still be listening to years from now are “All the lights,” “Blame Game,” (Chris Rock….really?) and the current single “Runaway,” with its equally horrible chorus (although I admit I liked the VMA performance). If you like Kanye West, or if you just really like rap music, you’ve got to get this CD. If you don’t fall into either of those categories, then you can pass this one by. I’m not ready to put a musical halo around Kanye and send him up into the clouds, but Kanye’s undeniable talent and unique style certainly do shine through on this album. Enter your email address to subscribe to howiGit's blog and receive notifications of new posts by email. Tiger Woods — Still the Best Golfer in the World? Tiki Barber — What Are You Up To? NFL Lockout Looms — Will America Crumble? Kendrick Perkins Traded by Celtics — Why?